Today, most people know the Studebaker automobile from one model: the rocket-nosed Commander of 1951. What they don’t realize is that the Studebaker company began as a wagon maker in the middle of the 1800s. As America turned its fascination towards automobiles, Studebaker began making electric powered vehicles in 1902 and then switched to gasoline models in 1904. Their last year of operation was 1966. Too bad they didn’t return to electric powered vehicles. They might have been involved in two auto shows coming up this summer. Today, most people know the Studebaker automobile from one model: the rocket-nosed Commander of 1951. There will be a car show at the La Quinta. I have my fingers crossed that the car show might feature, the 1931 President Four Season Roadster. 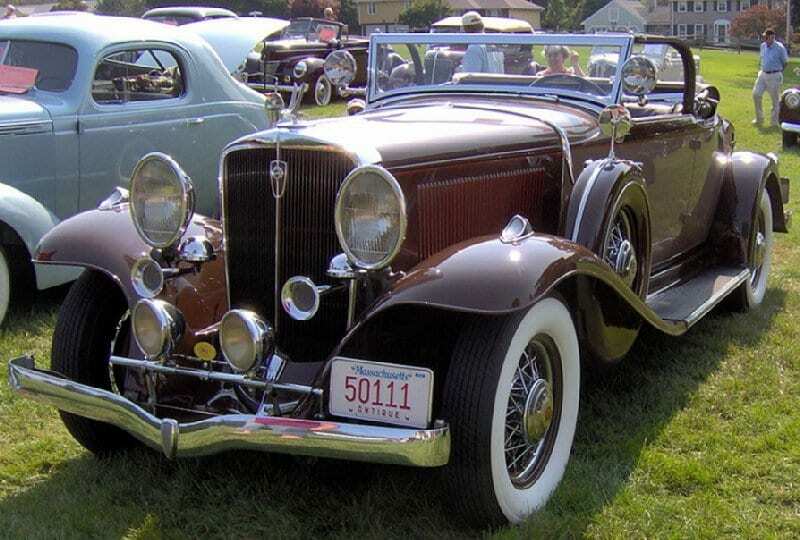 The beauty of this car challenges lines and details of the Duesenbergs of the depression era. The popular detective services out of Australia, Jack Irish, has the hero driving an eye-catching 1959 Studebaker Silver Hawk. In the mid-1950s, while the major automobile manufacturers were still producing boxy designs, Studebaker had a sleek, aerodynamic body design that rivaled the Corvette. The popular detective series out of Australia, Jack Irish, has the hero driving an eye-catching 1959 Studebaker Silver Hawk. I would love to go for a ride in that one. My wife and I ended up buying two of the electric neighborhood cars: Mousy (because it was gray) and Azure-Te (because it was blue). I’ve only ridden in a Studebaker once. I’d like to say it was a great ride, but all I can remember are the bullet holes in the passenger door. My friend Red, would sometimes siphon gas from other cars for his Studebaker Lark, while he was attending Yakima Valley College. Someone objected and shot at him. Although, I was riding with my friend in Lakewood, I just knew there were probably people near Ponders that might have been a gallon or two low in their gas tanks. He hand painted his Studebaker every week or so . . . a different color. 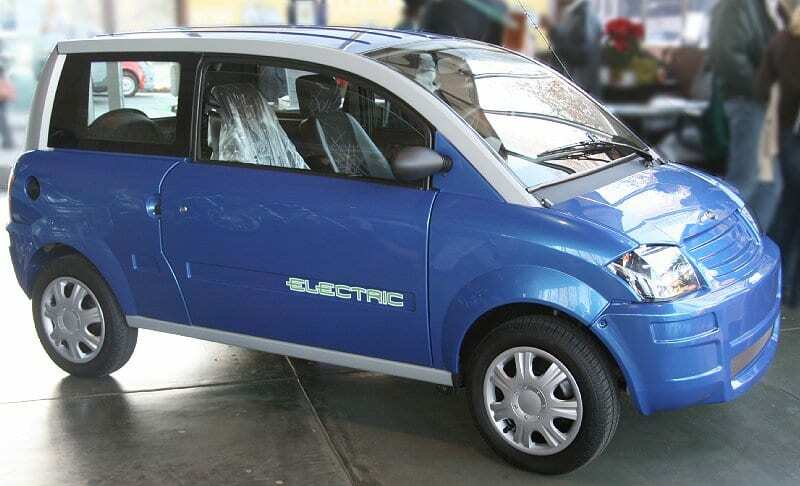 My first electric car was a 2007 ZENN (Zero Emissions No Noise). I had seen Canadian funnyman Rick Mercer drive one on his show. He said although small it could haul a week’s worth of groceries. He then opened the rear door to show seven cases of Molson Canadian (beer) and a box of Wheaties. Actually, my wife and I ended up buying two of the electric neighborhood cars: Mousy (because it was gray) and Azure-Te (because it was blue). I let my grandson drive Azure-Te when he was twelve. I love the Tesla. The company even has a semi-truck ready to roll. I don’t know how many electric vehicles they will have at the Steilacoom Electric Week, but I am anxious to see them. Currently 24 models are registered (from BMW to Fiat). 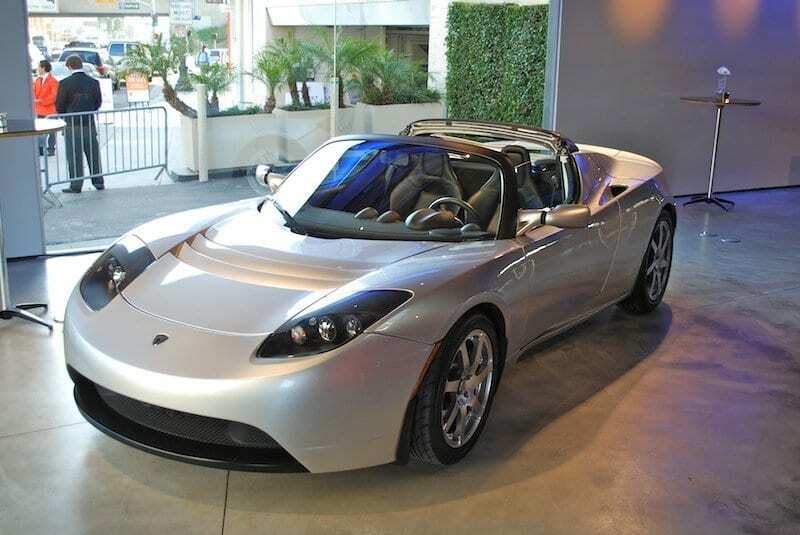 It seems like every major auto manufacturer has an electric car in development or on the road. I love the Tesla (at least three models will be there). The company even has a semi-truck ready to roll. I look forward to seeing the new electric cars. My buddy Red could leave his siphon behind. I wonder if any of these show pieces come in blue. Thank you Don for bringing me back in time. My folks gave me a 1951 Commander Studebaker for my birthday when I turned 16 back in the early 60’s. They got a $39 Spray King Special, (Turquoise) and presented it to me. That car took me through my high school years at Mount Tahoma. Most kids would have problems with their cars but everybody said, there’s Jerry in his trusty Stude!! That car with its straight 6 just never gave up. The standard radio in that car was far superior then the Chevys and Fords of that era with a big standard 12″ speaker in the dash aiming at the front bench seat. I put a pair of bongo’s in the back window and dice hanging on the inside rearview mirror. A lot of kids laughed at it but I laughed right along. I could tell you stories about that car that would make you smile! Go ahead tell me a story . . . Just your comment made me laugh and remember . . . I had bongos in the back of my 1953 Chrysler Windsor, also . . . it was just the thing to do. You never knew when someone my ask you to play . . . Thanks, again for commenting. Please, keep reading my articles and sharing your thoughts. Thanks for the Studebaker press. As usual, there are a few errors, but I won’t pick at them. What struck me is your statement; “National Drive Electric Week Steilacoom is a 1 day event”. I know that electric is all about conservation, but how do you cram one week into one day? The poster said that he had a 1951 Commander and then mentioned the six cylinder engine. A 1951 Commander came standard with an OHV V8 engine, long before Ford, Chevrolet and Plymouth. A 1951 Champion came standard with an inline flathead six cylinder engine. I bow down to your knowledge of Studebakers. The electric week is national event with only one day allocated to Steilacoom. It’s been tough getting information, but I love the list of electric models that will be shown. Thanks, for writing and adding content. Both 1951 and 1952 Commanders and Champions had the bullet noses. Thanks for writing and adding to the knowledge. You know . . . you just can never have enough bullets . . . or bullet points. Actually, and Robert knows this, it was 50 and 51 Studes that had the bullet nose. 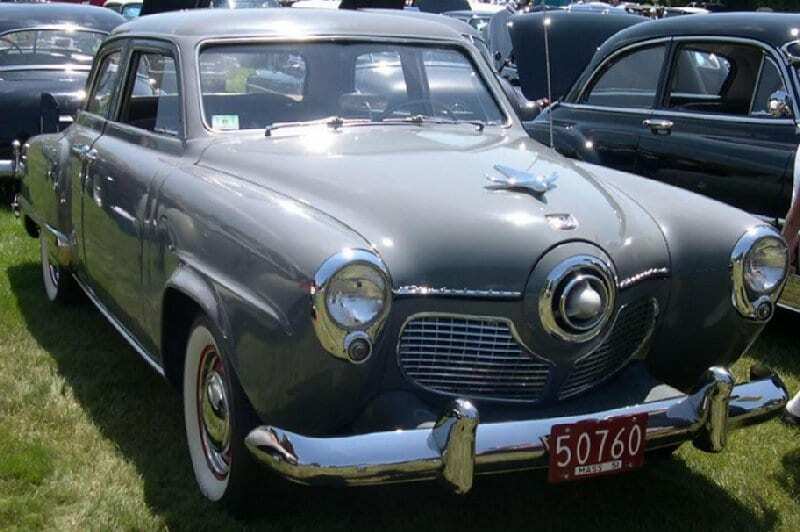 In 52, Studebaker’s 100th anniversary, they went to a more conventional front end look. Well, I’ll let you experts duke it out. Are you attending the car show at La Quinta? Last Monday I was sitting with the La Quinta rep at the Transportation Club of Tacoma and I asked about the connection between the Car Museum and La Quinta . . . or if there was one. She then shared about the August car show with Studebakers, so I promised her an article. After the meeting I wrote the one you read and sent it in for publication. Thanks for writing and reading. Please, continue with comments. I enjoy reading them and aswering.